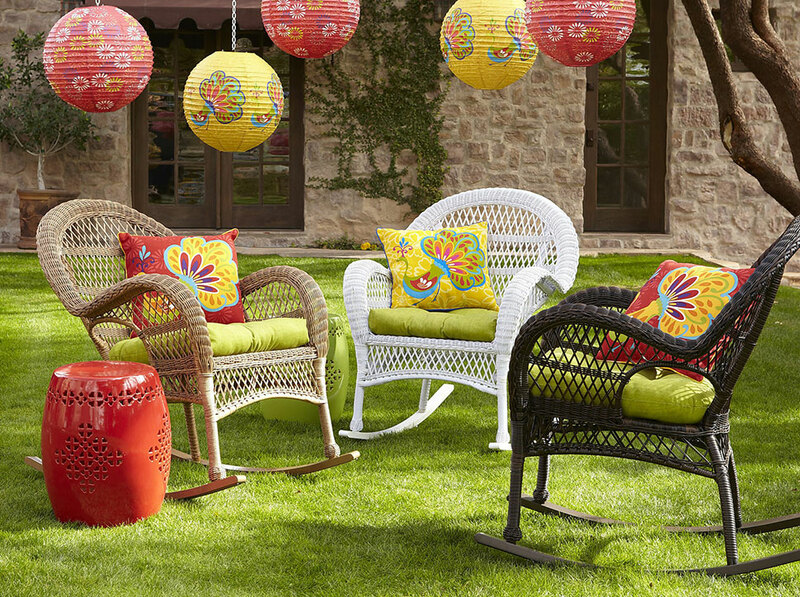 Pier 1 Imports is a popular retailer of home furnishings a décor based in Fort Worth, Texas, USA. The company is known for stocking international styles and designs, which they import or have specifically manufactured. The business was founded in 1962 with a single store in San Mateo, California. It originally catered to the hippy generation with quirky products like love beads and incense, but would slowly expand in to more general home items. By the 1970s Pier 1 had over 100 stores and went public on the New York Stock Exchange. Today the corporation makes over a billion in revenue and has roughly 17,000 employees. It also has over 1,000 stores around the US, Canada and Mexico. Pier 1's operations in the UK ceased in 2009 after its stores were sold to Palli Limited and then subsequently shut down. The online store is located at Pier1.com - here you can redeem offers and deals by using one of our Pier 1 Imports coupons, which we update whenever new codes are made available. You can also use a Pier 1 Imports printable coupon if you prefer to shop in store. Outdoors, Furniture, Rugs, Pillows & Cushions, Curtains, Dining & Entertainment, Bedroom, Mirrors & Wall Décor, Décor & Lighting, Holidays & Gifts, and Sale & Clearance items. Each category can then be further sorted by child categories. Outdoor for example has seating, patio umbrellas, storage and others. You can then filter items by price, type, color, material, and other variables. Alternatively you can use the search bar in the top right corner to search via keywords. You can also view their seasonal print catalog's online for more info on the products or what will be arriving soon. Pier1.com offers their own Rewards Credit Card program which you can apply for online. Every purchase made with the card generates points which can be redeemed for discounts off future orders. You can make further savings by using Pier 1 Coupons, which can be applied during the checkout process. Most discount codes can be used on all products. If you are a home designer or are involved with a similar business you can also apply for "Designer Perks" membership which gives you discounts and previews of new products. 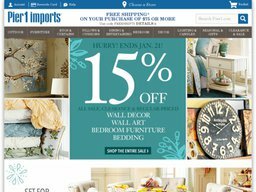 Pier 1 Imports accepts all major credit cards and also has its own incentivized credit cards which you can apply for at any time. Currently the store only serves the 48 contiguous United States and Alaska & Hawaii for home deliveries. US customers can also get items delivered to a local outlet for in-store pickup. This is free of charge. Orders under $15 cost $4.95 for standard shipping and the price peaks at $39.95 for orders over $300. Shipping is considerably more expensive to Alaska and Hawaii. You can normally expect orders to be delivered within 3 to 7 business days after the purchase date. From time to time they will run a free shipping offer, which you can redeem with a Pier 1 Imports coupon. Returns are accepted with 45 days of purchase for a refund or exchange, so long as the items are in new condition. You will need to contact customer support to obtain a return label before shipping.